There’s more to hope than we thought. Hope triggers biochemical changes. 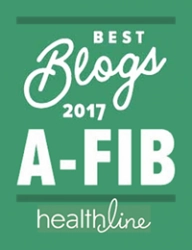 On A-Fib.com, hope and encouragement are important ingredients in becoming your own best patient advocate and seeking your A-Fib cure. We know hope impacts one’s emotions. But it also affects our physical being. I bought and read this book to learn about the BIOLOGY of hope. Written by an oncologist and citing actual patient cases (mostly cancer), Dr. Groopman explores the role of hope in fighting disease and healing. The latter part of The Anatomy of Hope interested me the most. It documents the positive physiological responses evoked by hope. Top scientists are interviewed who study the biological link between emotion and biological responses. The most relevant studies on the subject are reviewed (I’ve highlighted and marked these with sticky notes). We learn that there’s more to hope than we thought. Hope triggers biochemical changes. Biochemical changes can fight disease. Hope triggers biochemical changes. Biochemical changes can fight disease. Dr Groopman shows how hope, belief and expectations can alter the course of our lives, and even of our physical body. 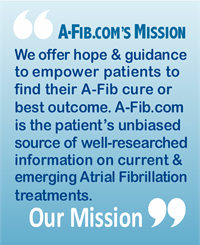 Good news for any patient dealing with a serious health condition, including Atrial Fibrillation patients! 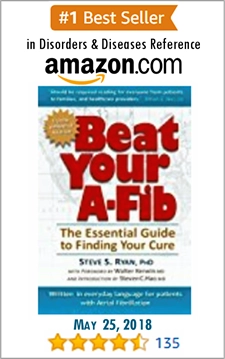 I recommend The Anatomy of Hope to help you bolster all your energies to find your A-Fib cure. At A-Fib.com one of our volunteer groups is a Positive Thought/Prayer group comprised of wonderful people worldwide. 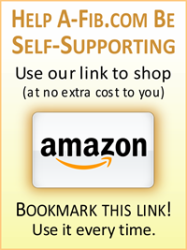 If you would like their support, especially at the time of your ablation or surgery, please email us your request. 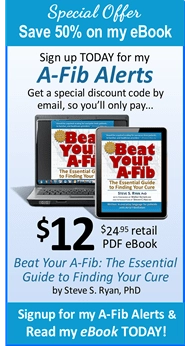 It’s comforting to know that others who’ve had A-Fib care about you and wish you well. How to Send Your Request: Send your request to our coordinator, Barbara at: babareeba(at)aol.com (substitute an “@” for the “(at)”). 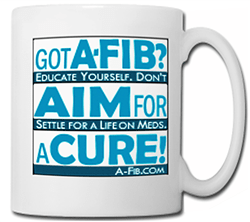 Join our Group: We invite you to learn more about our ‘A-Fib Positive Thought/Prayer’ group. All are welcome.